Irina Kolesnikova was born in St Petersburg - regarded by many as the most beautiful city in Europe - in 1980. Her first dream was to be a doctor. Her father, a lawyer, and mother, who taught at a St Petersburg kindergarten, encouraged Irina to pursue many sporting goals. First, she excelled at swimming, followed by ice skating and gymnastics. It was her prodigious talents in these two artistic sports that led young Irina, aged 9, on her journey towards ballet stardom, which began through the doors of St Petersburg’s famous Vaganova Ballet Academy, the inspirational cradle of Russian ballet. Irina studied at the Academy under Elvira Kokorina and, following nine years of hard work, she graduated in the summer of 1998, her 18th year. Later that same year - in December - Irina was accepted into Konstantin Tachkin’s St Petersburg Ballet Theatre as a soloist where her first teacher was former Kirov Ballet star and Honoured Artist of the USSR, Svetlana Efremova. Within two years, Irina’s extraordinary dancing talent and acting abilities were recognized by her promotion to principal. By 2001, Irina Kolesnikova had become the company’s Prima Ballerina, aged just 21. Her many great roles cover a wide repertoire of classical and romantic ballet include Clara in Nutcracker, Princess Aurora in The Sleeping Beauty, Kitri in Don Quixote, Nikiya in La Bayadère, the title role of Paquita and, of course, any ballerina’s most coveted roles – in the title role of Giselle and as Odette/Odile in Swan Lake. Today, Irina Kolesnikova works under the tutelage of Lyubov Kunakova, herself honoured as a People’s Artist of Russia, who coaches Irina for all her major roles and oversees her strict training regime. It is in the definitive role of Odette/Odile in Swan Lake that Irina has made her most impressive mark, both in Russia and abroad. Her portrayal of the Swan Queen has become an indelible personal trademark. “Thanks to this amazingly supple dancer, an artist from head to toe, we got to see the truly ideal Swan. Her tenderness and timidity were very touching. …Irina united drama with virtuosity in her marvellous illustration of the double-sided nature of this role. Her Black Swan was imposing and self-assured. Her perfect pirouettes and double and triple fouettés electrified the audience of the Théatre des Champs Elysees. Her lack of any internal tension, freedom of movement and her expressiveness, all combine to allow us to place this Saint Petersburg star, pleasant behind the scenes and brilliant on stage, at the summit of a choreographic Olympia alongside the other outstanding talents of her generation. In 2008, Irina enriched her repertoire by venturing into the sphere of contemporary dance for a season at the Apollo Theatre in London’s West End, where she danced the role of Hollywood legend Judy Garland, in Peter Schaufuss’s hugely successful dance spectacular, Divas. 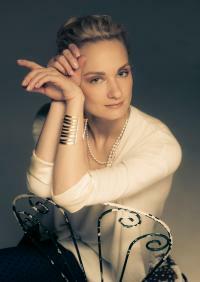 As a member of the St Petersburg Ballet Theatre, Irina has toured extensively across six continents to Spain, Germany, Belgium, The Netherlands, Great Britain, Ireland, France, Italy, Austria, Switzerland, Finland, Brazil, Turkey, South Africa, South Korea, Singapore, Australia, New Zealand, Japan, China, Macau and Taiwan. A photographic album of her career, entitled simply Irina Kolesnikova has been published, featuring more than one hundred superb photographs of the ballerina on and off stage. The introduction to the album is written by the legendary Russian-American ballet critic and photographer, Nina Alovert. Irina also stars in three DVDs - filmed around the world –performing the leading roles in Swan Lake, Giselle and The Nutcracker. Back in St Petersburg, Irina’s parents and her banker brother Ruslan eagerly follow her travels around the world and her astounding triumphs. In her rare, quiet moments, Irina likes to develop her embroidery skills. Irina is married and recently returned to the stage after giving birth to her first child, a daughter, in 2014.